At the neurologist, we explained the events that happened 2 months before as detailed in my earlier blog post. The neurologist agreed with the ER doctors that it sounded like it could potentially be seizures. 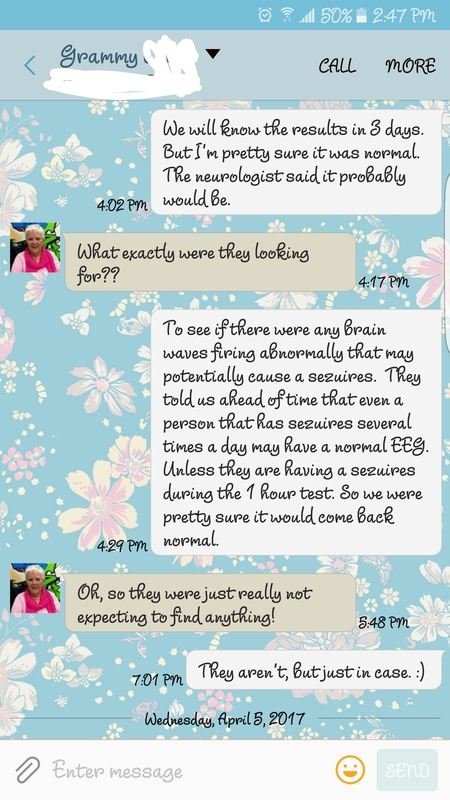 She requested we schedule an hour long EEG appointment. She explained the likelihood of an abnormal EEG would be slim. Adylaede has only had 5 episodes in 2 years. What would the chances be of her having an episode during the hour they were doing the testing? The neurologist assured us that even children known to have seizures daily, can have a normal EEG. In that case, we could schedule a 24 hour EEG, or move on to treatment. She rattled off a few anti-seizure meds she was recommending. 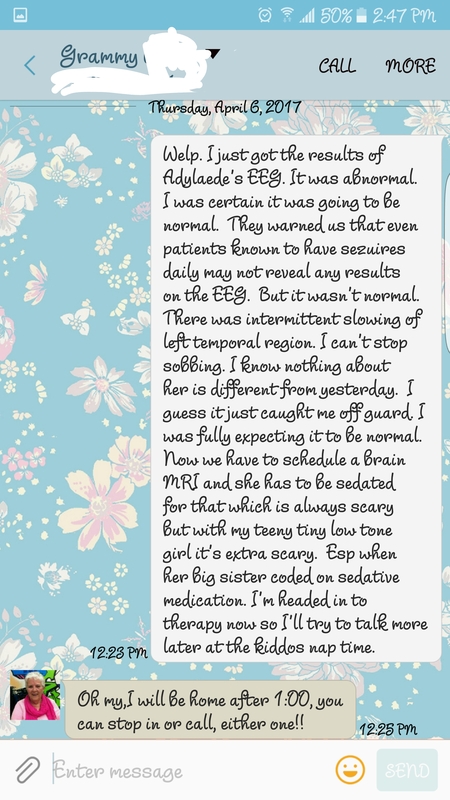 I suggested waiting on treatment, since the side effects of medication may not be worth it for her few episodes, but I assured her if they increased in any way, including frequency or length, we would definitely revisit the medication recommendations. We scheduled the EEG and I found out our kids had insurance later that day. The EEG was scheduled for April 4th. The instructions were to bring her sleep deprived; they really wanted her to sleep during the testing. She was allowed to eat normally, with the exception of sugary foods. I tried to stay up late with her, but by 10:00pm I was exhausted (I have 4 kids! And I babysit 3, I’m always exhausted!! 😂) I told her she could lay in bed with me and watch her tablet for as long as she wanted. She flashed me her biggest smile, jumped up to hug me so tight, and exclaimed that I am the BEST MOMMY EVER!!! I donned my imaginary badge of honor and dozed off. She woke me up at 11pm, handed me her tablet, and told me she was too tired to watch any more shows; she needed to sleep. We woke up at our normal time and I worried that she was sleep deprived just enough to be a grumpy grouch, and not enough to actually fall asleep during her testing. I rubbed some peace and calming essential oil on her chest and diffused lavender and valor II in the van on the way to the EEG appointment. She was so calm, I was nearly in disbelief! My girl tends to get very nervous at doctors offices, but she was amazing. I assured her that I would be with her the entire time we were there. They placed all the wires and leads on her scalp and chest, she did not fret one bit! I was so proud of her. The technician was also very impressed with how well she did with the lead placement. We took pictures of her so she could tell her big brother, Giddeon, that she was taken by aliens, or that she was a robot. After approximately 15 minutes of watching her tablet, she nestled her head on my arm and fell asleep. With only 10 minutes left, the EEG technician placed a flashing light in front of my sleeping LaedyBug. She didn’t flinch. I assumed the reason he was using the flashing light was because he was pulling at straws, trying everything in his power to create any abnormalities on her EEG that could potentially lead to a seizure. 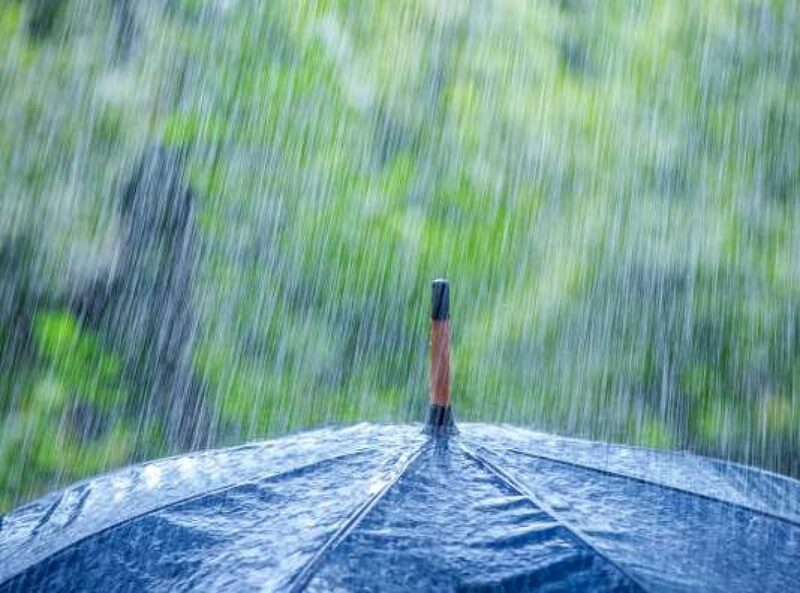 When the testing was over, I resisted the urge to inquire about the testing, I knew he couldn’t tell me anything and that the doctor would call me as soon as she had the results. I confidently marched out of the EEG facility, resting in the knowledge that her episodes were so infrequent and the chances of a normal EEG were pretty high. April 6th: Just 2 days after the testing, I received a phone call from Adyleade’s neurologist’s office. There was intermittent slowing of the brain waves in her left temporal region. It caught me completely off guard. I could not stop sobbing. I was fully expecting her results to be normal. I knew that nothing about my sweet girl was different from the day before, and yet I couldn’t help but feel weighted in the knowledge of our new normal. What would this mean for the seizure medication that I had insisted she didn’t need unless her episodes became more frequent? I honestly, didn’t know the answer. And I still do not. The neurologist suggested that our next step was schedule an MRI with sedation. And so we did.